Our Memorial Day weekend weather was beautiful. It gave the kids a chance to play outside and get summer started a little early. Evelyn orchestrated three porch picnics in two days and Brandon had his first experience with a swimmer diaper. He really likes taking a bath, so we thought that he would also enjoy his first dip in the pool. He did. By the time he was done splashing there wasn't a whole lot of water left in it. 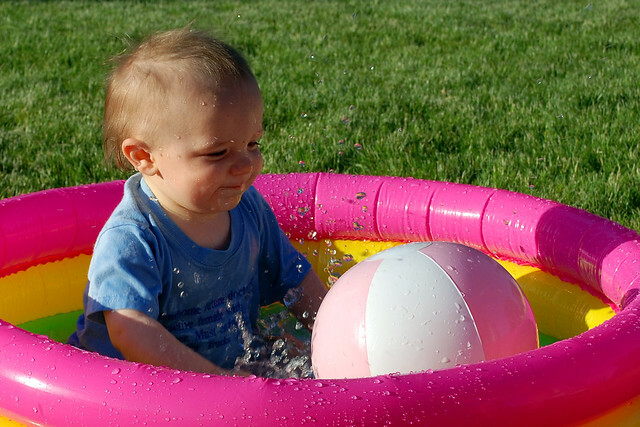 Evy taught him some of the finer points of backyard inflatable kids' pool technique. 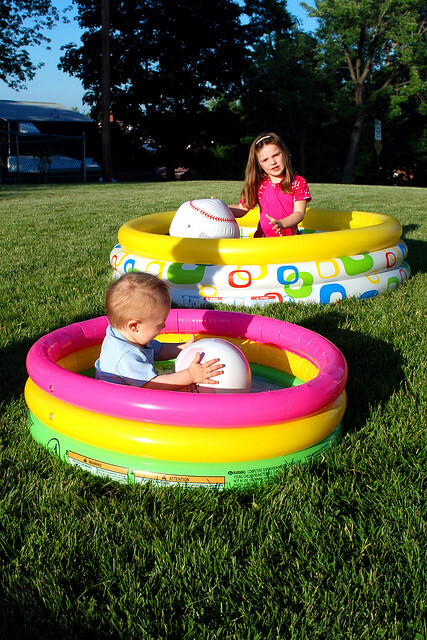 You know - the beach ball spin, the bucket toss and the somehow get a pound of sand and grass in there. They both had a lot of sunblock and a lot of fun.